Jaguars running back Leonard Fournette was arrested in Florida on Thursday following a traffic stop in Jacksonville. According to a police report from the incident, Fournette was arrested for knowingly driving with a suspended license. According to New4 in Jacksonville, Fournette’s license was suspended in March due to the fact that he had never paid off a speeding ticket that he had received in November. The Jaguars running back was given a citation on Nov. 17 after police clocked him going 37 mph in an area where the speed limit was just 25 mph. After Thursday’s arrest, Fournette posted a $1,508 bond and was released after just 24 minutes in custody. In a statement, the Jaguars said they’re aware of the incident. The Jaguars running back also got ripped by Tom Coughlin following the team’s season finale against the Texans. Basically, Coughlin felt that Fournette looked completely disinterested while sitting on the bench during the Jags’ 20-3 loss. 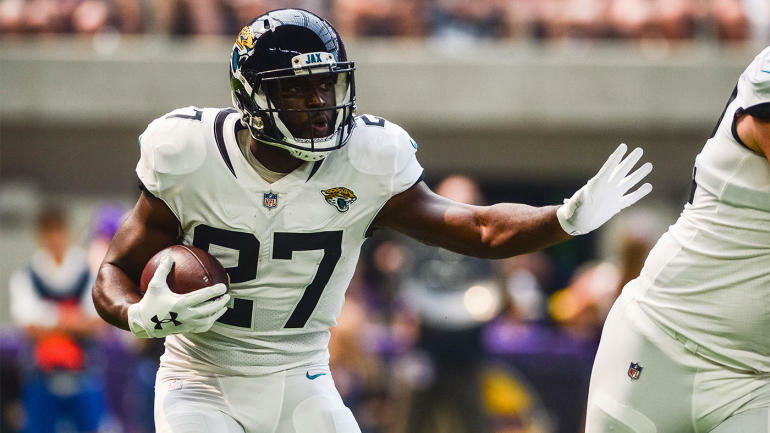 Fournette finished the 2018 season with just 439 rushing yards and five touchdowns, along with 185 receiving yards and one score through the air.